Bald women (and young girls) of the world unite! Let your inner light shine. Be bald and be free. A new facebook campaign "Beautiful and Bald Barbie! Let's see if we can get it made" was started by Rebecca Sypin and Jane Bingham a few days before Christmas and has already generated more than 35,000 likes. 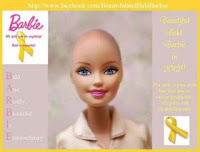 The movement wants toy maker Mattel Inc. to create a bald Barbie in support for children with cancer or suffering from hair loss. 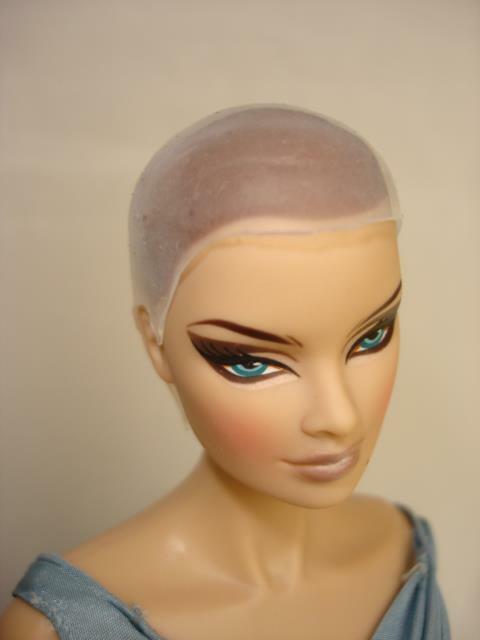 The bald barbie is a great tool to help these kids overcome the trauma of hair loss and develop self-acceptance. The proceeds from this doll would go to a pediatric Cancer research facility. Several news outlets have reported that Mattel didn't return calls on Wednesday seeking comment, but the women said they have contacted the company through some general form letters. In return, they said, they've received form letters that say Mattel doesn't accept ideas from outside sources. According to the Amarillo Globe-News, the movement is also asking Mattel to create headscarves and hats for the bald dolls. A petition has also been started on Change.org lobbying for the manufacture of the hairless dolls. As of Wednesday, Jan. 11, the petition had garnered 817 signatures. Tracey Kidd, whose daughter is suffering from cancer, told the Sunday Mail that she agreed with the campaign. "There's so much emphasis, especially on little girls, on their hair and how they (cancer kids) look," Kidd told the paper. "It's important for them to feel good, especially in hospital."